Steel & Alloys Industries Served - Commercial Metal Industries | Texas Alloys & Tool Co.
Metals are used in almost every industry. 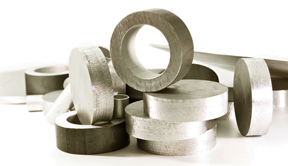 Whether you’re producing a product or operating a facility, Texas Alloys knows that you need a reliable industrial steel and alloy supplier who can deliver your materials to you when you need them. We serve a number of clients that include machine shop fabricators, power plants and maintenance departments. It is through our experience and understanding of our customers needs that has earned us the consistent business of companies throughout the state of Texas. Contact us today for your desired metal pipe & fitting needs. We provide the food processing industry with stainless steel because it is easily cleanable. We are a full-service stainless steel, aluminum and carbon alloy product distributor to the oilfield industry. Keep the lights on around town with regular materials deliveries to your power generating facility.